Shenseea and her manager Romeich Major are once again in the spotlight. The “ShenYeng Anthem” singer and Major ruffled a few feathers online Tuesday when Shenseea uploaded a short video to her Instagram story. 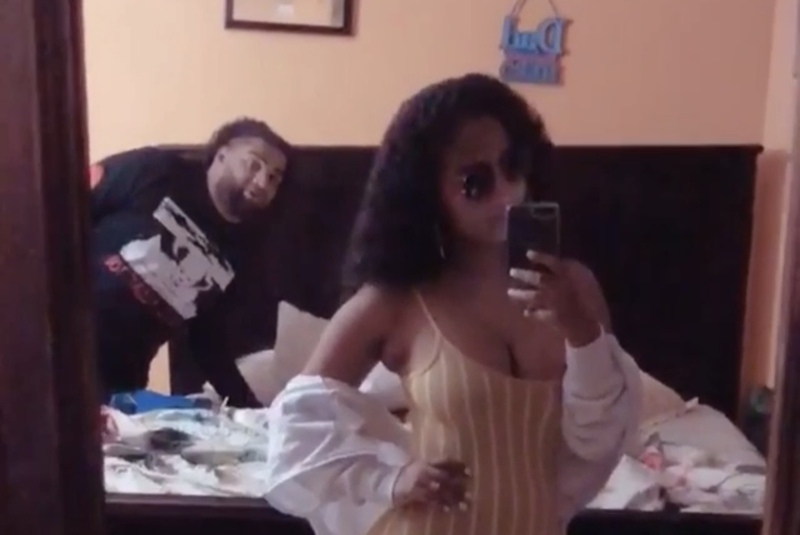 The clip sees Shenseea taking a selfie in a room while Romeich is spotted in the background. “These two well brave wid dem relationship these days from dem get ketch a kiss,” a fan wrote. “What are they waiting on to just openly confirm their relationship? Like ummm we are not blind,” another added. The controversial artiste-manager duo went viral back in October after a footage surfaced with them displaying some affection in public. In a video captured at Romeich’s birthday party held in Kingston, Jamaica the businessman can be seen kissing the singjay on her cheek.